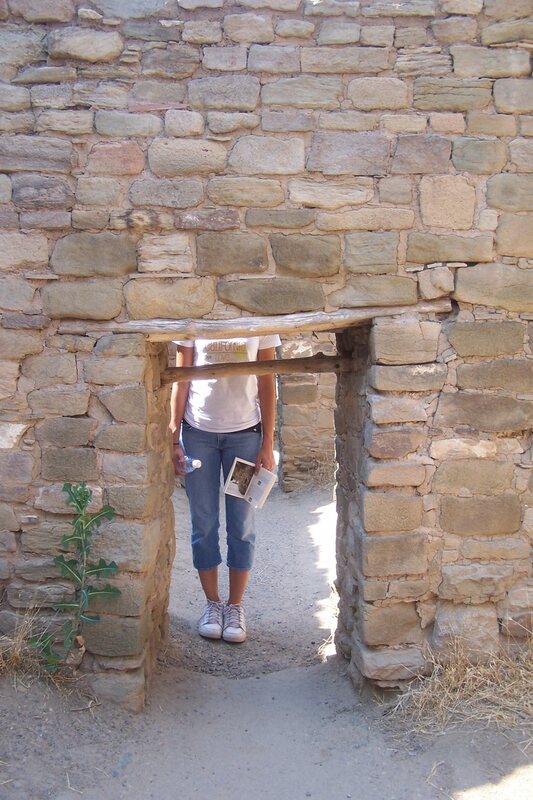 These ruins at Aztec represent over two centuries of planning and building by the Ancestral Puebloan people. 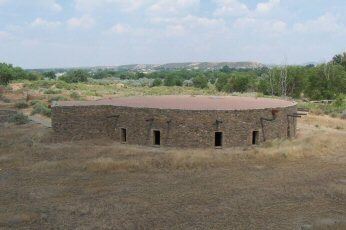 They built a settlement that included a group of large public architecture and smaller buildings and ceremonial rooms. 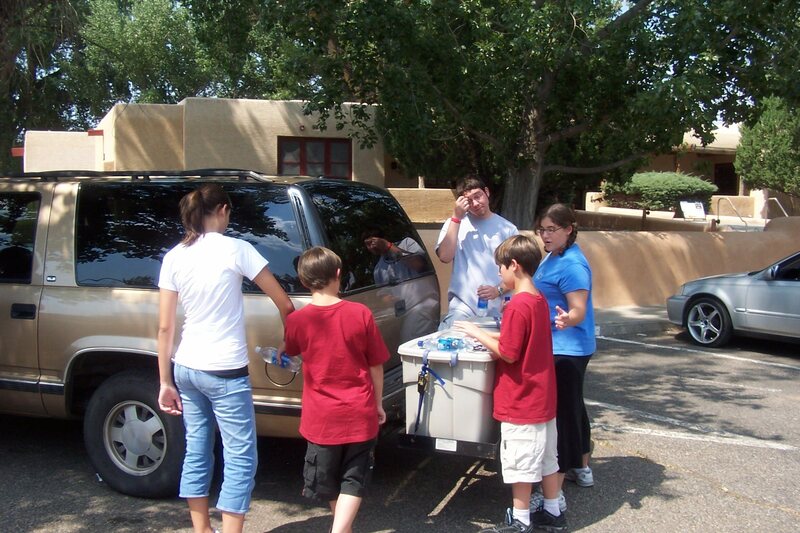 This community at Aztec rivaled the one found at Chaco Canyon, 55 miles to the south. 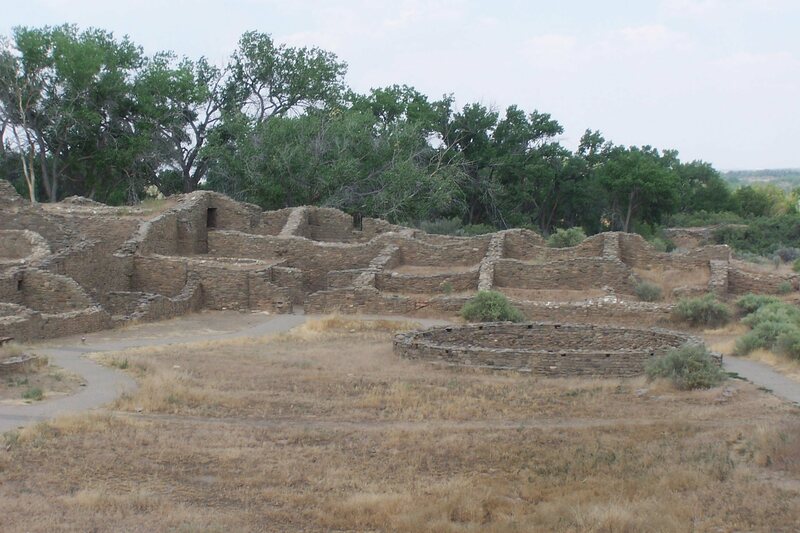 Scientists believe the two settlements were related; perhaps early in Aztec's life it was dominated by the power of Chaco Canyon. Yet when Chaco fell apart around 1100, Aztec continued strong for another century or two. 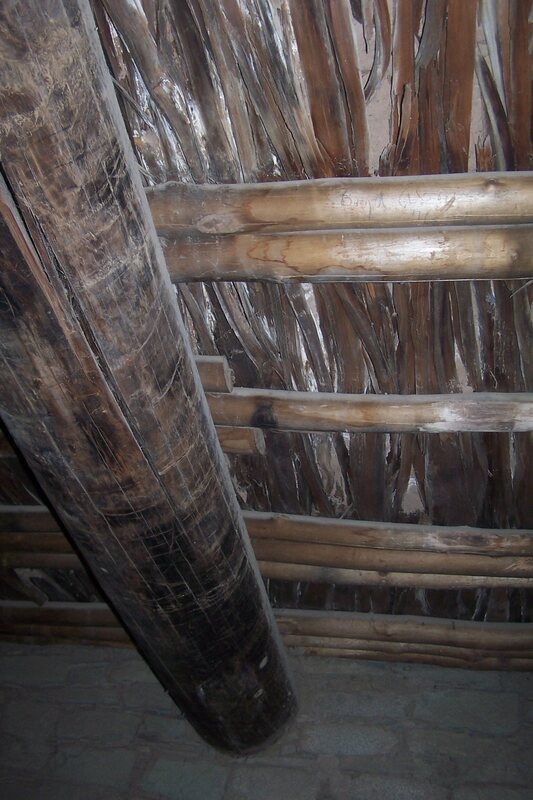 The building efforts at Aztec lasted over 200 years; the succeeding generations of people adhered to the master building plan laid down by the original settlers in the late 1000s A.D. Sometime around the late 1200s, the people left Aztec, as Ancestral Puebloans were doing in many places around the Four Corners area. Today many indigenous people living nearby are their descendants, and they still maintain strong cultural and spirital ties to the site. 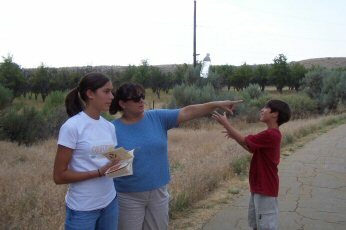 The nearby river, the Animas, makes habitation here a possibility. The headwaters are in the San Juan Mountains to the north, and people for over a thousand years have taken advantage of its steady water. People we now call Ancestral Puebloans began building here a thousand years ago, and over the next 200 years they constructed several great houses, tri-walled kivas, small residential pueblos, earthworks, roads, and great kivas. The formal layout of the settlement indicate a grand design. 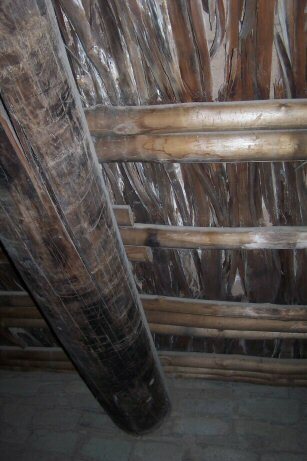 Some rock for the walls and support beams was quarried 20 miles away; some timber was hauled in from the same distance. All this detail indicates planning on a grand scale, and building continued for up to 200 years. But several factors apparently drove the people away, to other more fertile river valleys. Perhaps the drought that struck this area was the final straw, adding to the problems of increasingly infertile soil, possible social changes, and religious and political issues. When the first Anglos arrived in the mid-1800s, they found many of the structures much more complete than we see today. Dr. John S. Newberry found the West Ruin with walls 25 feet high in places and many rooms undisturbed. However, over the next 50 years vandals and looters laid waste to Aztec, and only when it passed into private hands in 1889 did the damage generally cease. 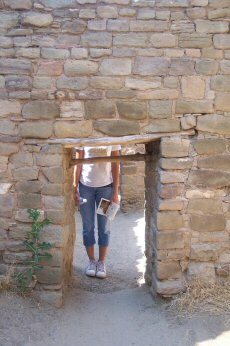 Today scientists still happily debate the exact location of doors, the true purpose of rooms, and the history of the people who built these ruins at Aztec. Aztec Ruins is a small site; you won't get tired walking around the path. 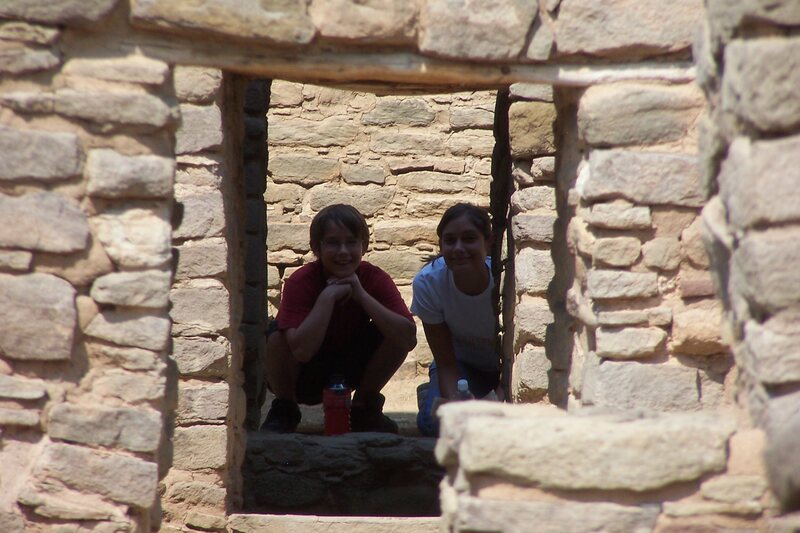 The ruins that surround the restored Great Kiva are, well, ruins. They're interesting enough in their way, especially if you think about trying to live as they did a thousand years ago. 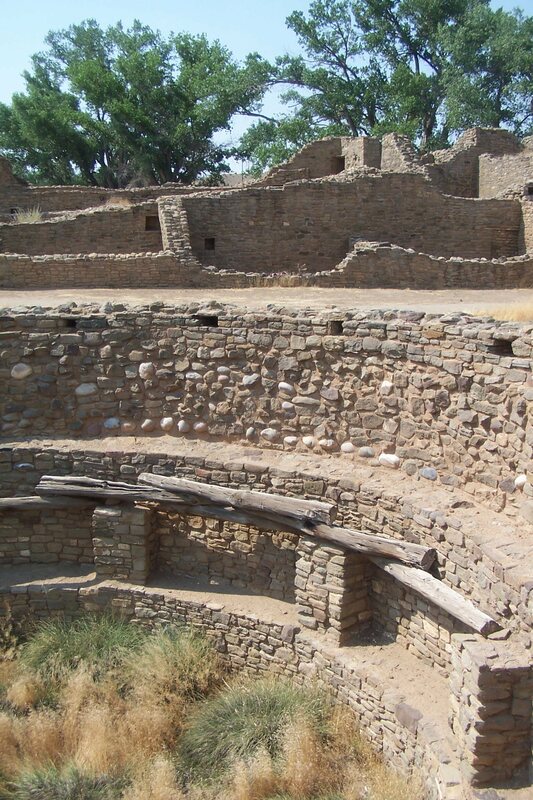 But what makes Aztec Ruins a step above your generic Ancestral Puebloan ruin site is the Great Kiva. Yes, it's been restored, but I don't have a problem with that. It's large and spacious, and when we went down inside there was a Park Ranger there, ready to answer whatever questions we had. The amount of work the inhabitants put in is really amazing. I can't imagine trying to convince my fellow residents to travel 20 miles thataway and haul back some trees whose trunks will support the roof over the kiva, much less telling them that we need huge stones to support the four pillars inside, and those stones are also found 20 miles away, in a different direction. The Visitors Center was informative, displaying a short movie that laid out the history of Aztec Ruins as we understand it. There are some displays as well that help explain what you're going to see. And of course, there's a stamp for your Passport. 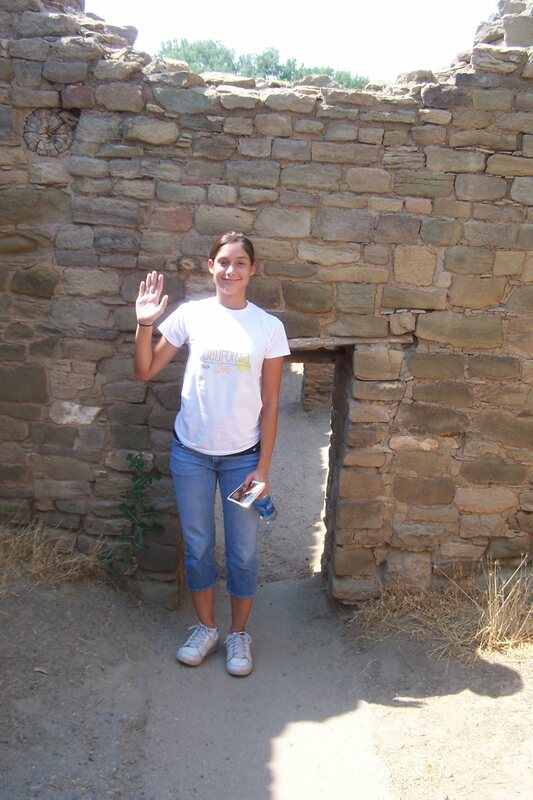 I liked Aztec Ruins. It was simple, laid out well, and the Great Kiva really surprised me. I was expecting only ruins; to see a reconstructed kiva, and as huge as it was, was pleasant. Now it was a warm summer day in norther New Mexico, and Michael and Lexi made a beeline for the air-conditioned visitors center and never moved. After a few minutes of walking around, Gina joined them. Stalwarts Katie, Nick and Luke accompanied me all through the ruins. It really only took perhaps 45 minutes to an hour to walk all around. So for those who chose comfort over learning, well, I just hope you can live with yourselves. Heh. All right, all right, it was our 6th or so National Park Site after five days on the road. Fine! I'll cut you some slack. The Site is actually within the town of Aztec, so grocery stores and motels are just minutes away. That was nice too. The larger town of Farmington is just ten or fifteen miles away. From Albuquerque, take I-84 north for 16 miles. Take State Highway 44/US 550 northwest for 151 miles to Bloomfield, and continue north on State Highway 544/US 550 for 9 miles to the town of Aztec. Once in Aztec, 544/550 becomes N. Main Avenue. Turn left (west) at the intersection with W. Aztec Blvd. (also Highway 516). Drive west for about one-half mile. As soon as you cross the river, look for a right turn onto Ruins Road. Turn right and follow Ruins Rd. for about 3/4 of a mile. The Monument is on your right. Mesa Verde National Park is about 50 miles to the northwest. Yucca House National Monument is about 60 miles to the west northwest. Hovenweep National Monument is about 75 miles to the northwest. 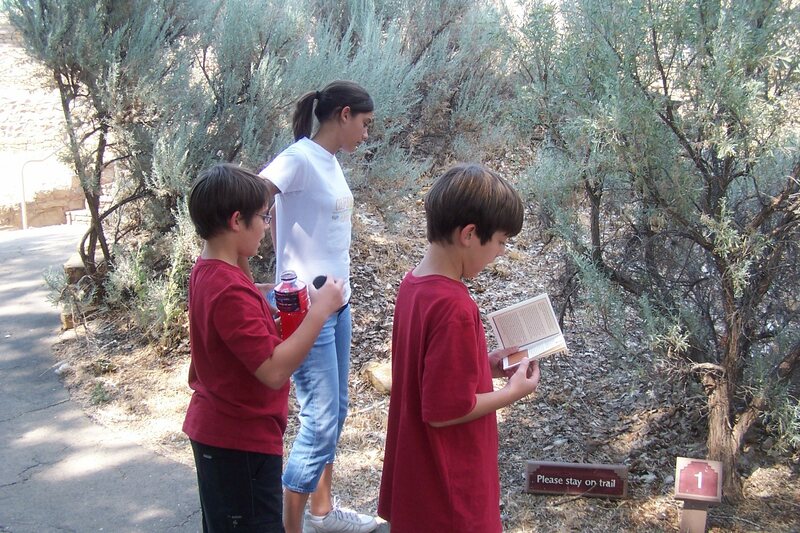 Canyons of the Ancients National Monument is about 90 miles to the northwest. 100 mile to the southwest is Canyon de Chelly National Monument. 60 miles to the south is Chaco Canyon National Historic Park.